In an increasingly mobile world, businesses need to know their people, processes and data are secure. 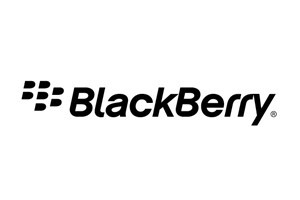 Recognised for delivering the world’s most secure and integrated mobile solution, BlackBerry has a complete software solution for devices running: iOS, Android, Windows 10, Mac OS X and BlackBerry. Mobile Device Management: Manage your entire mobile fleet – phones, tablets and PC’s – with a complete, cross-platform and highly secure Mobile Device Management (MDM) solution. Mobile Application Management: Mobilise your critical apps, workflows and business processes, including your investment in Microsoft applications. Mobile Content Management: Access your business files from SharePoint, OneDrive, Box and more, all with native document editing capabilities. Secure files even outside the firewall using file level security. Identity & Access Management: Simplify access and entitlement to services, including mobile, internal, and SaaS applications. Advanced authentication technologies ensure a great user experience and reduced operational costs. Mobile Security & Containerisation: Protect the business with a trusted end-to-end approach to security, complementing the device OS, backed by credentials and accreditations recognised worldwide. Taurus are an accredited BlackBerry partner with additional resources and tools to help address today’s market demands and fulfil client’s requirements. BlackBerry EMM also integrates with Apple DEP allowing our clients to manage their Apple fleet with almost ‘Zero IT’ as part of our ongoing relationship development with Apple direct. If you have any questions regarding BlackBerry, MDM or any other mobile queries please contact Dee on 01392 206199 or use the form below for a call back.